Inundated coastal communities, rising salinity of drinking water, crop failure, loss of livelihoods, and erased communities: these situations are forcing rural indigenous poor women of Asia Pacific to take a stand on climate change. They are demanding system change and development justice. Developed countries are at the head of the table of the United Nations Framework Convention for Climate Change – 20th Conference of Parties in Lima, Peru from 1 to 12 December 2014. They are present mainly to deliberate on how to minimize their responsibility for climate shifts that is causing devastation in many parts of the world. Meanwhile, women from Bangladesh, Indonesia, Philippines, Nepal, Thailand, Vietnam and Papua New Guinea are bearing the brunt of these decisions. 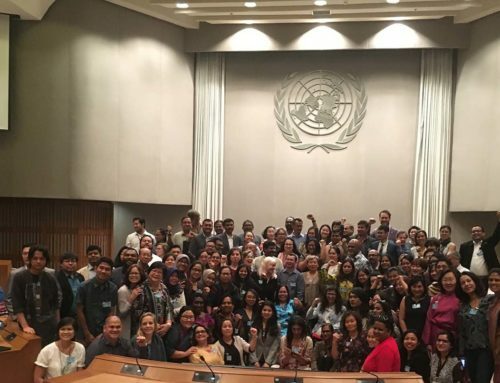 “Women in our communities have contributed the least to carbon emissions but pay the highest price“, said a young researcher from the Philippines, Danica Castillo. In the Philippines, another typhoon is battering the country as survivors of last year’s typhoon Haiyan, that left over 7,000 people dead, over 3,000 missing and 4 million people displaced; as the survivors are yet to rebuild shattered communities and mourn lost lives and livelihoods. For women living on a lagoon in Thua Thien Hue province in Vietnam, changing coastal conditions are constantly increasing the threat of food insecurity for the women and their families. Salinity, heavy rains, flooding, erratic tides, all reduce the reliability of aquaculture as the women’s main source of food such as rice and vegetables and income for their families. In Bangladesh, Munda indigenous women, one of the most marginalized communities in the country, living in the coastal areas near Sundarban mangrove forest have fewer crops to feed their families and to be sold for income because of increased salinity and soil erosion. The lives the Mundas have become dependent on its changing rapidly, and fishing and farming are now inconsistent and unpredictable means of subsistence. In Indonesia, reforestation efforts under REDD+ programs are taking away women’s ability to access the forest as they always have – for food, for medicine, for fuel, and for income. “Wealthy countries are negotiating away our futures. Instead of recognising their responsibility for the impact on our communities, they are negotiating how many communities will be wiped out, how many cultures will be lost, how many lands will be decimated, and how many lives will end.”, said Dewy Puspa, a representative from Indonesia. In Nepal, Mugal indigenous women are losing their livelihoods due to the decrease in availability of Himalayan herbs which are vanishing due to over harvesting and warming climate. “We are challenging the governments in COP in Lima today to be bold and step up for addressing the climate crisis which is destroying the lives of rural indigenous poor women. While we are battling for gender equality, we are also calling for change in this dysfunctional system, the only way we can tackle the climate crisis at the verge of our extinction. 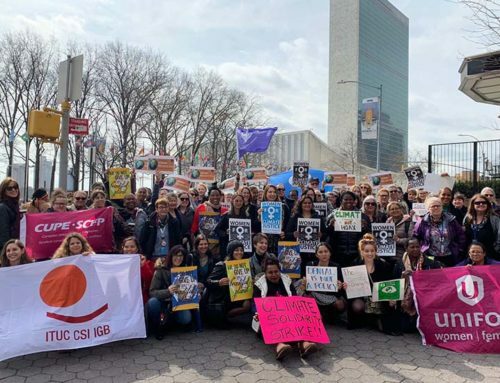 We are demanding climate justice and development justice.”, said Alina Saba, a young researcher from Nepal who was selected as a speaker at COP20 for Gender Day. 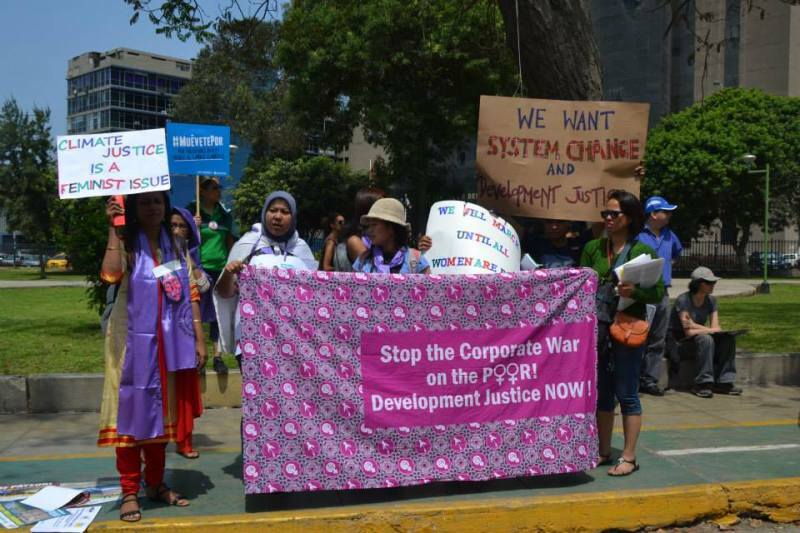 As part of a feminist participatory action research with the Asia Pacific Forum on Women, Law and Development, women from these communities are launching their policy briefers asking governments attending the COP to hear their demands.